I am trying to remove the RF/AF units from a 1939 Torn E.b but the front plate's screws looks like they are totally blocked. I tried the usual methods, soacking front and rear with various types of lubricants etc. hitting the head of the screws with a soft hammer etc, but no way. Last edited by IK5QLO; 04-14-2018 at 02:30 AM. Originally Posted by Yuri D.
Many thanks Yuri, I was thinking about it but I was afraid to damage the original paint on the screws but I'll try on one. Anyway, heating means expanding metal, I was also thinking to use spray ice trough to a tube surrounding the screw. Last edited by IK5QLO; 04-14-2018 at 03:27 AM. 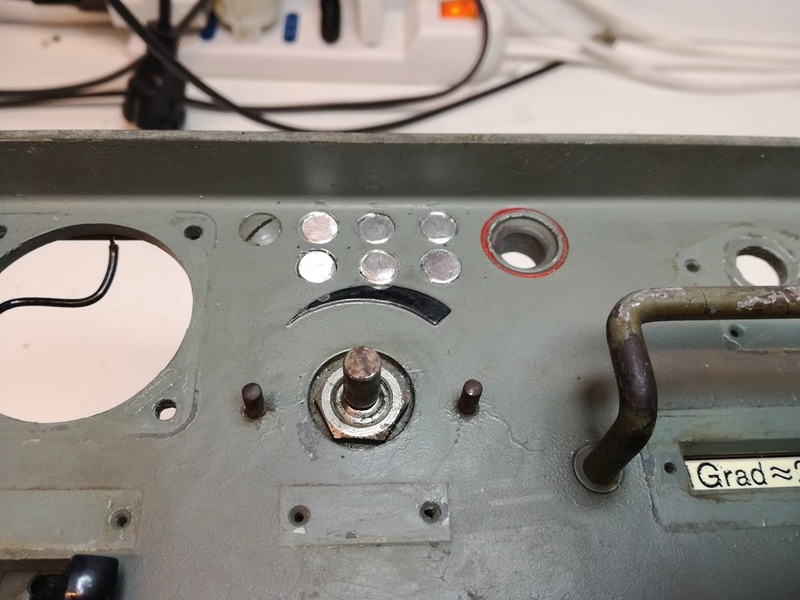 Right, Those German screws have very narrow head slots, I modified a screwdriver head to fit perfectly, but sincerely I would like to avoid breaking them. Würth makes a great set of Slot screwdrivers that I find fit the heads of most WW2 German Coms & Optics screws. Collector of Wehrmacht Ordnance, Optics & Field Equipment. I have a good method of loosening screws that are stuck. I'm trying to unscrew the screw with quite a big torque. Then I loosen the momentum. Then I'll do the same thing again. What happens then is that the upper part of the screw turns very little. The screw itself turns at the top. After many times, this movement will move gradually downwards the screw. I have done this many times, and always with good results. with a big soldering iron without results. I planned to remove the front panel of my 1939 Torn e.b to repaint it after I made a remediation to some holes drilled on it. I threaded the holes M8 and did some very short screws from an aluminium rod. Anyway I could also leave it as it is without removing the panel, the radio already works nicely.